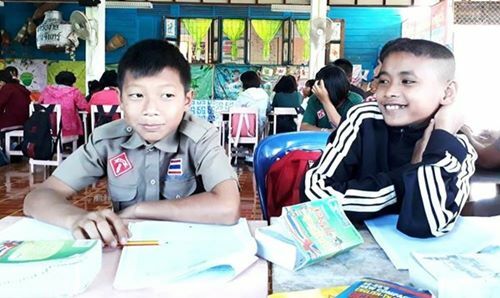 A group of school ‘Kaeng Jan Network’ is consisted of 4 small schools e.g. Haad Khampee, Kok Wao, Na Moh and Pakmang-Huaytabchang schools. 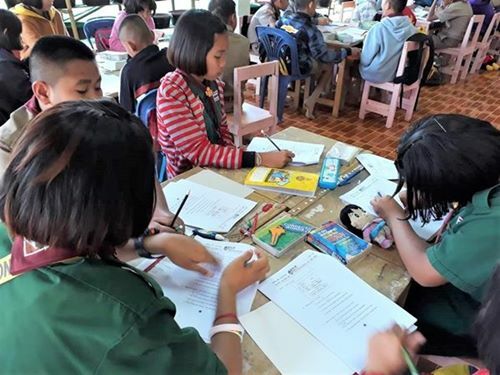 Due to its small school scales, it had been considered and evaluated by supervisory office, operation of schools might not be valued in term of budget and resource investment. It was suggested to be terminated the operation. But parents and all villagers whom their children were learning in these 4 schools did not agreed with the proposed termination. If not, it would be problem for them to travel long distance to send and pick up their kids back home. Finally, it come to an idea of ‘school and class separation’ by grouping class cluster into 1) kindergarten 2) Pratom 1-2 3) Pratom 3-4 and 4) Pratom 5-6. Each class cluster and its students would be assigned to go and learn in one designated school. A Network provides a pool vehicle service for all clusters and schools. By this way, parents are happy with the solution and it’s worked up to present. 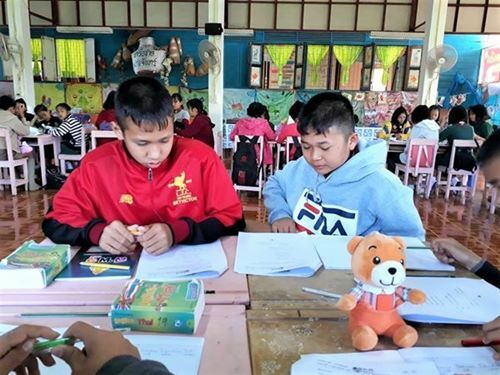 In the past year, FCYD Foundation had arranged an English camp for all students of the Network. So, we know that students are limited to learn English language. For this time, it is a special event of knowledge tuition under the program of Teach Thai Students-TTS. 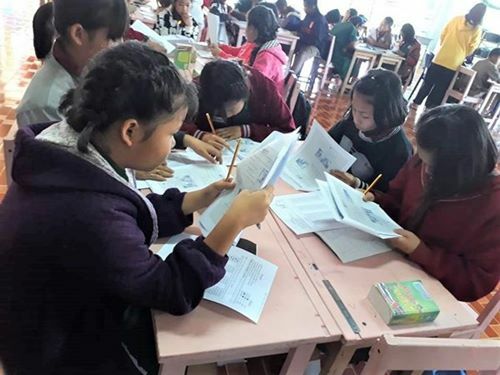 Students are provided with a simulation of English test. By doing this, they would learn how to prepare themselves before the real test to come. It is not easy at all for students of far schools to study and learn English, but it is a must for them to do it. We hope they will make it better for the test and for their future.